Fall is a wonderful time of the year for a party. The cool weather (if you don’t live in Florida like I do), the amazing smells (cinnamon, pumpkin, bonfires and marshmallows) and the beautiful scenery (I love the changing leaves) really set the mood for a fun outdoor gathering. The season gives you an excuse to consume all things pumpkin, revel in the beauty of nature, and enjoy time together with friends and family. With so many great reasons to throw a party this fall, all you need to do is start planning. 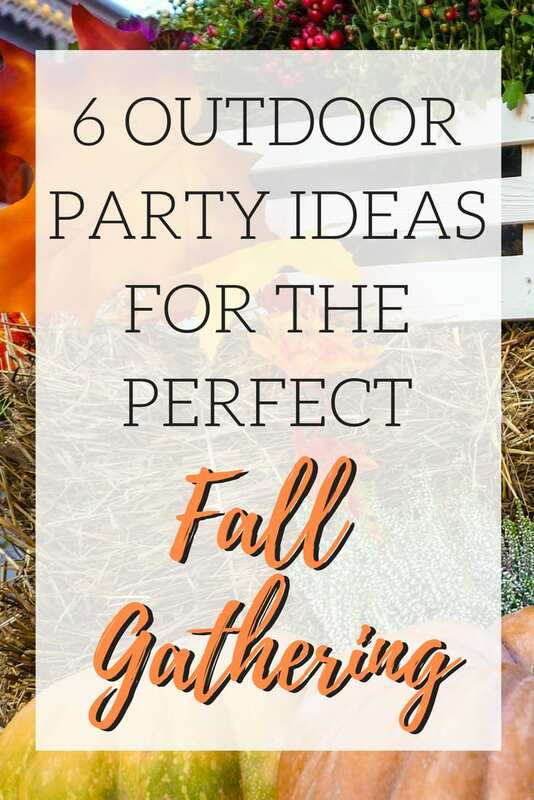 Here are some fun outdoor party ideas for the perfect fall gathering. Bonfires are a classic way to celebrate fall and one of the best fall gatherings to plan. Take your fall bonfire up a notch by celebrating another fun fall activity – camping. 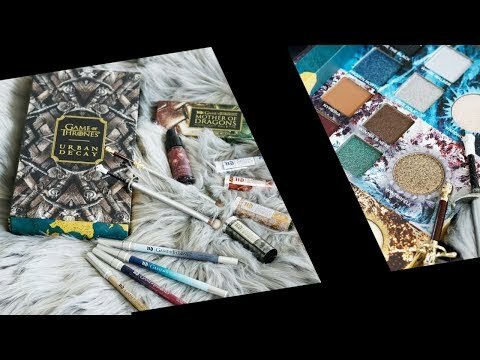 Using camping as your inspiration will result in a cute fall party centered around a warm fire. Decorate with lanterns, use straw bales or tree stumps for seating, and pass out sleeping bags to chilly guests. For dinner, serve grilled meats with simple fire roasted vegetables or tin foil pouches filled with corn and potatoes. And what camping meal would be complete without dessert – s’mores of course! Don’t forget to have extra marshmallows and hot dogs on hand for roasting over the fire as the evening goes on. To keep your guests entertained throughout the night, have some spooky campfire stories ready to go or hold a campfire singalong with a selection of popular camping tunes. One of my BFFs hosted a party like this for Fall a few years ago and everyone loved it. Pumpkins are a staple of fall décor and fall food, so why not make them the centerpiece of your fall party? Celebrate the season by decking out your back yard with pumpkins of all shapes, sizes and colors. Use them as centerpieces on your tables, vases for flower arrangements, mix them into your food display, or even use them as serving bowls for your food. Next, make your menu pumpkin-centric with warm pumpkin soup, sweet pumpkin cake or pie, yummy pumpkin dip, and even pumpkin cocktails. What better way to celebrate fall than to curl up with your favorite scary movies under the stars! We love doing outdoor movie nights. Set up a make-shift movie screen by tying up a white sheet, then project your favorite Halloween flicks onto the side of your house. Or use an outdoor movie projector. Complete the movie set up with some warm quilts spread out on the lawn and comfortable pillows for your guests to relax on. For food, pop some popcorn and add some classic Halloween candy to the spread, like candy corn or mini chocolate candies. Other fun food ideas could include Halloween favorites like popcorn balls or Rice Krispies treats or movie theater fare like nachos and soft pretzels. You can even make this a family friendly event by swapping out the horror movie lineup with a some more kid-friendly Halloween films. We did this when we went camping in February a few years ago and it was so much fun! Yes, February is the perfect time to go camping in the Tampa Florida area. Most of the bugs are dead and it’s chilly but not too cold. Plus, I had Phaedra and Ray to keep me warm! Celebrate the season with a fun and lively German-style Oktoberfest party. Oktoberfest is traditionally celebrated during late September and early October in Munich. The 16-day celebration is the world’s largest festival and inspires smaller celebrations around the world. We’ve actually been to several local Oktoberfest events in Tampa and St. Pete over the years. Bring Germany to your own backyard by serving a spread of traditional German food, like pretzels with mustard dipping sauce, warm potato salad, bratwurst, sauerkraut, and black forest cake for dessert. And don’t forget the beer! Decorate your Oktoberfest party with traditional blue and white, the colors of the Bavarian flag. In addition, use beer-inspired décor like large mugs for centerpiece vases, dried wheat, and hops. While eating and drinking may be the main focus of your party, having a few fun German activities on hand, like a yodeling contest or fun photo booth with classic German-style props, will make your party really stand out. The fall season is all about celebrating the bountiful harvest of summer, making a fall harvest party a great choice for your fall gathering. Decorate your yard with fall harvest themed items, like pumpkins, gourds, acorns, apples, corn stalks, and leaves. Cute maple trees like this are great for indoors. Rustic farm implements also make great additions to the party’s décor. A wheelbarrow would make a wonderful cooler for drinks. Flower pots or metal buckets can be used to display food. Continue the rustic theme throughout the rest of the party by adding hay bales covered with soft blankets for seating around a crackling fire in your fire pit. The party’s food should be the star of the night. Emphasize the harvest theme with tons of fall flavors, like pumpkin, apples, squash, sweet potatoes and pears. Halloween is fall’s most fun holiday and truly perfect fall gathering. We normally go to 3 or 4 Halloween parties every year, plus we celebrate our wedding anniversary (since we were married on Halloween) around the same time. Take advantage of this favorite holiday and host a haunted house party in your backyard. Have a blast decorating your yard with scary Halloween décor, like gravestones and spooky ghosts hanging from the trees. Don’t forget to decorate the exterior of your home as well, to really add to the ambiance of the party. Create a creepy menu full of deliciously gross food items and some bloody cocktails to enhance the menu. And ask guests to don their best costumes for a fun costume contest at the end of the night. For one of the Halloween parties that our friends throw each year, they turn their barn and the areas between the house and barn into a haunted house with haunted graveyards. It’s always fun to go through the barn to see how they choose to decorate it each year. What’s your idea for the perfect fall gathering? Let me know below! I need to get a fall party on all my friends’ calendars! There are so many fun things to do in fall! I’ll be using this list for inspiration for our get-togethers this fall. Ohh. Thanks for the good ideas. Prestyns birthday is in November and I have been starting to plan his party.